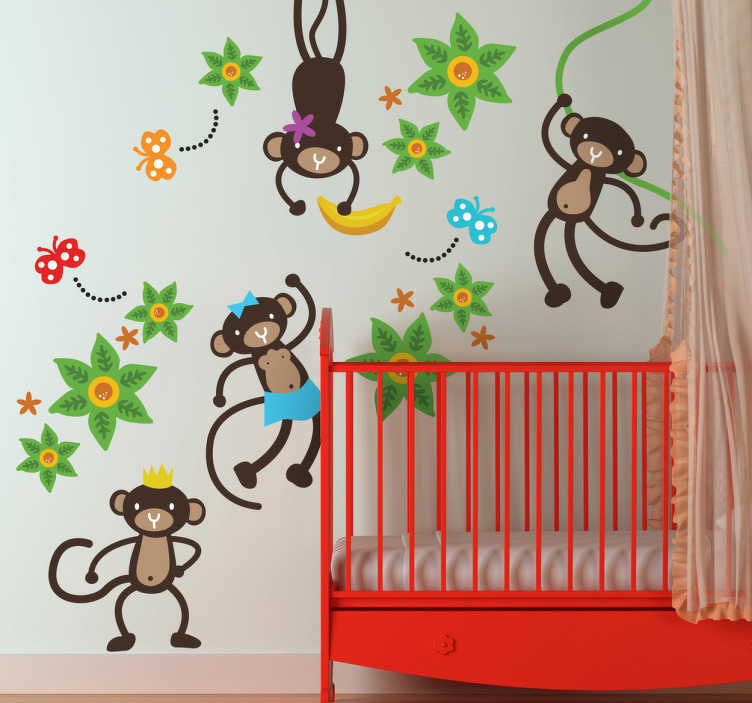 A kids sticker set from our collection of monkey wall stickers ideal for decorating the bedroom of the little ones at home. Does your child love monkeys? Well these four crazy and friendly monkeys are superb for adding a touch of colour and fun to your child's room. Bring some colour into your child's bedroom and also liven up the atmosphere with these nature vinyl stickers. Surprise your child with these decals and experience a heartwarming environment. These monkey stickers are very easy to apply and remove. Available in different sizes and leave no residue upon removal.